The best interests of children include the age of the child and parents and any physical or mental conditions affecting the relationship between the two. The determination also considers the needs, including emotional, of the child and the ability of each parent to meet the needs. Older children have the right to express a preference of custody to the court. The judge also has the discretion to consider the behavior of the parents when deciding custody, including past behavior of any abuse or improper influence of a parent in shaping the child's opinion of the other parent. Best interests also factor in any other sibling relationships and the past role the parent played in the child's life and upbringing. Legal custody is the right to make decisions made concerning a child's education, religious affiliation and overall well being, including medical treatments. Physical custody involves the living arrangement for the child. Virginia courts have the option of assigning one or both parents legal custody, as well as allowing both parents some form of physical custody when this arrangement is in the best interest of the child. Courts can also award one parent sole custody, which means that parent has the power to make major decisions about the child and the responsibility to be the child’s primary caretaker. 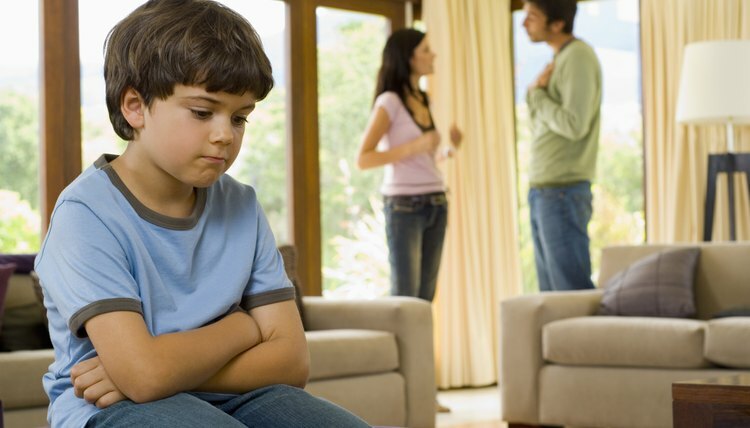 Child custody laws in Virginia also allow the court to regulate visitation between children and non-custodial parents. If one parent has sole custody, the other parent can have visitation rights, whereby that parent has unsupervised or supervised time with the child, depending on the court ruling, but doesn't have implied rights to make important decisions concerning the child's welfare, including medical treatment. Visitation rights in Virginia may include overnight or weekend visitation privileges for the parent without legal physical custody rights. Virginia legislature passed recommendations in 2007 to encourage visits between children and their incarcerated parents. These recommendations encourage fostering parent-child relationships for continued parental involvement after the parent's release from prison. The Virginia Department of Social Services notes that establishing paternity builds self-esteem in children, establishes family identity, encourages shared parenting and helps determine health history. Declaring paternity also provides a legal relationship between the father and a child in court. This helps the court determine custody awards and visitation rights. Declaring paternity also provides legal protection and opportunities for children, including coverage by any medical insurance held by the father or potential benefits from the father's Social Security or veteran's benefits. Virginia recognizes putative fatherhood, a term used to describe unmarried, biological fathers and fathers in a child-parent relationship without any legal adoptive recognition. Virginia sponsors an online state putative father registry to provide fathers with notifications of court actions involving a child listed on the registry. The notifications allow fathers to attend custody and adoption hearings involving biological children. Virginia courts follow the guidelines established under the Uniform Child Custody Jurisdiction and Enforcement Act. This act requires uniform jurisdiction and cooperative enforcement of custody and visitation laws among cooperating states. Virginia's participation mandates state courts recognition of child-custody rulings and legal visitation orders made by sister state courts that regulate current Virginia residents. The law also provides for a voluntary registry for Virginia parents to record legal custody agreements. This information becomes part of the national enforcement system for use if either parent fails to follow the custody agreements and leaves Virginia with the children.